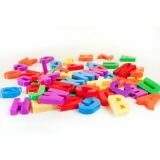 Capital letters templates made of solid and soft plastic. They include indications for the correct direction of the stroke. 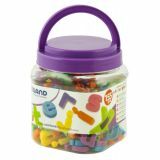 Essential for children to develop writing skills. 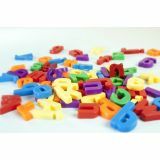 Brightly colored plastic magnetic letters: complete assortment of vowels and consonants to use for the formation of words and letter recognition. Use on our metallic blackboard. A series of 12 themed activity cards for education in values: gender equality, tolerance, respect, good behaviour, etc. With colourful and entertaining illustrations and attractive photographs. 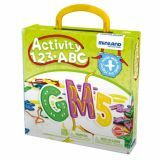 The game is designed for children aged 3 and over and is based on the following characteristics: Gender equality. Racial diversity. Good and bad behavior. Coexistence and tolerance. Traffic signs. Acquisition of vocabulary. 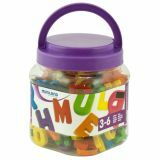 This item also has a free digital component found on playminiland.com where you may find lesson plans and downloadable/printable activity cards. You may also access an online game that complements this toy.